We had a very big 2 bedroomed apartment on the top floor. It had a huge balcony and lovely views from front and back. Room which was well equipped for Greece. Large wet-room bathroom which was fine but take nappy sacks for the bathroom bin as you will wish you had if you don't. Maid service every other day including clean towels. Sheets changed once during an 11 night stay which we thought was quite reasonable. Pool is large by Greek standards and is very clean and there are always plenty of sunbeds so no early towel drops. Snack bar by pool serves food and drink at same prices as town - what we had was good. Staff unobtrusive but helpful when needed. All in all thoroughly recommended. Phillipos Hotel was nice our appartment was very spacious and well equiped by greek standards, all the staff were very friendly and help full. Only down side was the pool only got cleaned once a week! and the weekly entertainment was Big brother and Eastenders on T.V. would have liked a bit of greek dancing. Having read reviews on other forums prior to my holiday I was somewhat dubious to say the least about these apartments as I had read some horror stories. However my husband and I were very pleasantly surprised-so much so that I decided that on our return I would immediately post this message on a holiday forum so that other people's concerns may be spared. 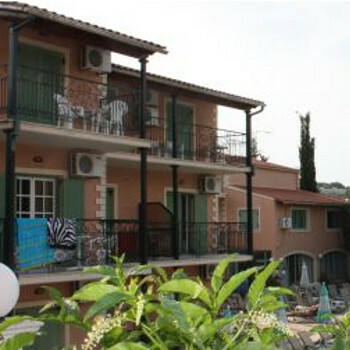 I have been to Greece on many occasions and for a 3* self catering accomodation I thought that the Philippos apartments were of a good standard in comparison to others I have stayed in. We stayed in a studio apartment for 2/3 people (2 single beds in our case)which was quite roomy, basic and clean. The walls were painted white, the floor tiled, we had a wardrobe, a dressing table and a kitchen area. This consisted of a breakfast bar with two stools, a fridge, a sink, a hob and kitchen units with plates, pots, pans and all the usual necessary cooking/kitchen utensils. The bathroom consisted of a sink, toilet and shower-plenty of hot water and good water pressure at all times of day. Toilet paper cannot be put down toilet but must instead be put in a bin but this is emptied each day by the maid. Rooms given a once over each day but towels are not changed each day (3/4 times a week I think in our case). There is also a balcony with chairs and a table. The apartment was more than adequate for our needs as we actually spent very little time in there other than when sleeping! We had no complaints with the room other than a problem with a leaky sink on the first day but this was sorted as soon as we reported the matter to reception. The only down side was that there was no air-conditining and no fan hire in the apartments. However we hired a fan on the first day from the internet cafe on the square for the cost of 7euros a week (and 15euros returnable deposit). This was a life saver as it did get hot in the apartments. Safety deposit boxes could be hired for 8 euros a week (these were located in reception) although it is wise to remember that reception is not open 24 hours! The pool and pool area were great. Plenty of sun loungers although as always you need to be up early to get the best ones. Nice clean, fresh water pool with separate splash pool for kids. Lots of inflatables for kids and adults to play on but these did not overcrowd the pool-I still managed my 20 lengths every day interrupted! Pool side snack bar was very good quality I thought. We don't usually eat at poolside snack bars but on a couple of occasions we ate lunch there and the food was lovely. I can recommend the Greek salad. They do a wide range of snacks and meals, ice-creams etc. In the evenings they put on occasional special events such as barbeque nights but not much else in the way of entertainment from what we could tell (but not 100% sure as we went out in the evenings into Kassiopi). Pool bar is open until 2am but when we were there we did not hear any noise coming from it. I suppose it depends on the people there at the time. Staff really nice and polite and in our experience would sort out problems quickly and efficiently. Apartments are conveniently located just off main street in Kassiopi where no noise at all is experienced from bars, cafes or traffic yet still within a few minutes walk of main bars, shops and nightlife. Overall we had a great time and would definitely recommend the Philippos to other holidaymakers.